So to be honest, I just purchased my book yesterday!! I purchased the Kindle edition since I did a last minute purchase! I had heard of this book before and seen it before, but have never actually read it so I thought this was the perfect way to get some new ideas and collaborate with other teachers and bloggers. Click on the picture below to join the discussion! The first strategy was all about brainstorming and discussion. 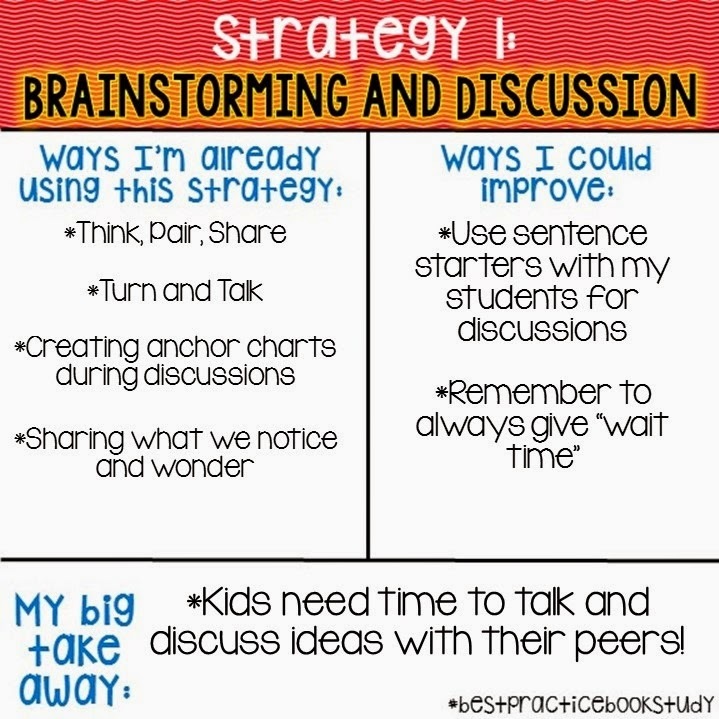 I think all students need a lot of time for brainstorming and discussion. My kindergarten students come with a variety of background knowledge and they can really learn so much from just discussing a topic with their classmates. I find that having my students "think, pair, share" or "turn and talk to a friend" works really well when brainstorming ideas. It really helps all students get an idea to share with the class. I would like to try using some sentence starters (I realized that... or I agree with ____ that ____ or I would like to add to ____'s idea) with my students during discussions like the book suggested. I think with a lot of modeling and practice my kindergarten friends could really do this! I love art! 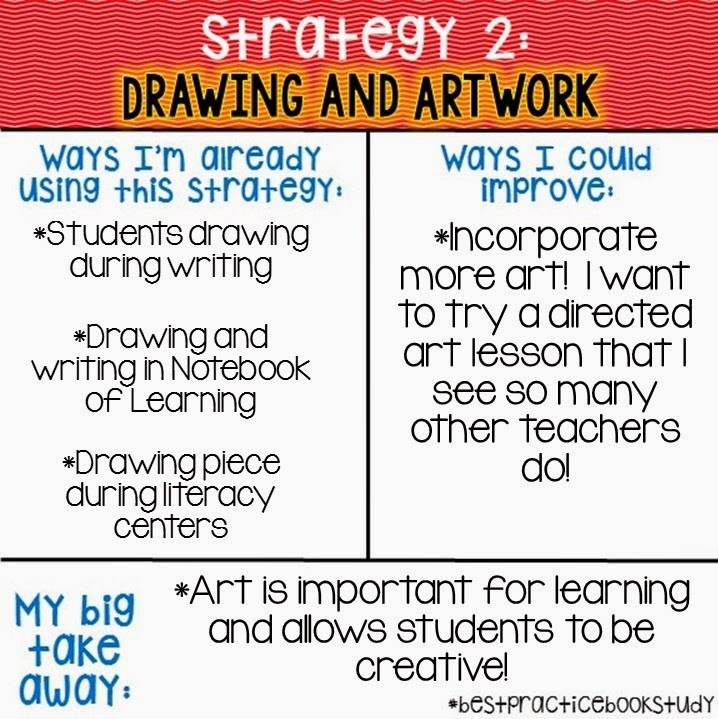 I always try to add pictures on charts we create as a class and my kids will say, "You are such a good drawer" or "How do you draw so good?" It's so cute! I feel like I give my students a lot of drawing opportunities as far as drawing during writing, in their Notebook of Learning, or at a literacy center. However, I would like to do more! My teammate had a great idea to do a mural of a habitat for science and I decided I wanted to do the same because it sounded so fun and hands on for the kids. My team then decided we would each take a different habitat to make a mural for. We had been discussing the relationship between the needs of plants and animals and the places they live so this was a perfect culminating activity. We had books out for students to "research" different plants and animals in the habitat. The next day we brainstormed (hey that is strategy 1!!) plants and animals that live in that habitat. The following day each student used construction paper, scissors, and glue to create a plant or animal that lives in that habitat. My classroom looked like a huge mess, but there was SO much great learning happening! Here are some pictures of each habitat that the kindergarten classes created (my class did the ocean habitat). They turned out so great! This was a math lesson where my students got to do some drawing and artwork and they LOVED it! For this writing lesson, my students illustrated a "how to" book. We created the words to the book as a class and then I had my students work in groups to illustrate the pages. 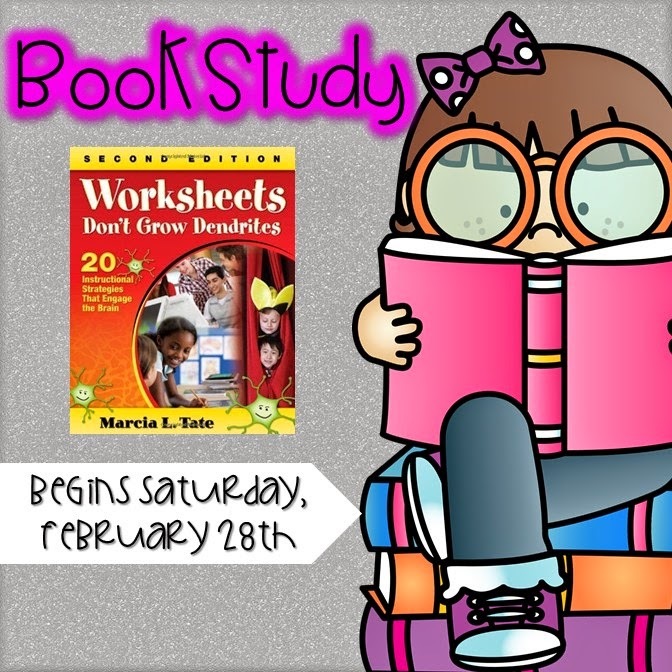 And if you made it this far I have created a *FREEBIE* in my TpT store for you! 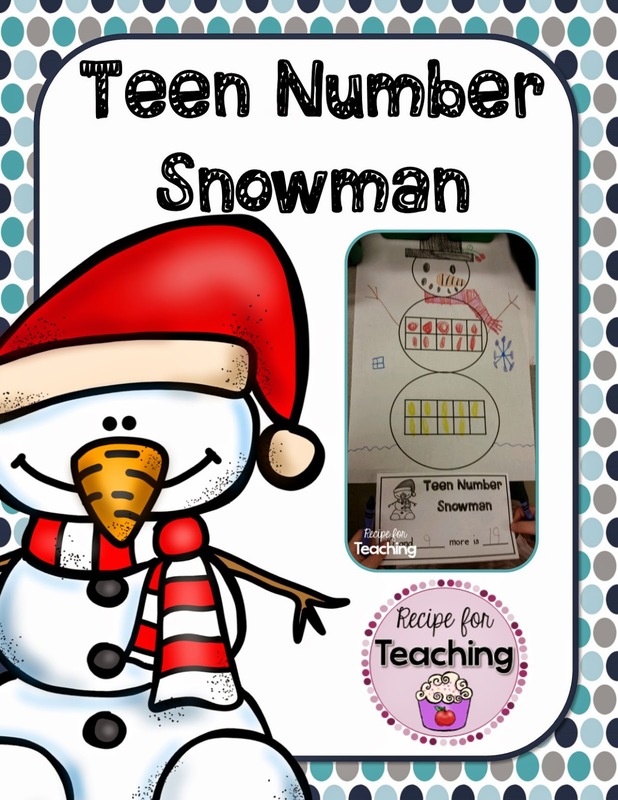 It is the "Teen Number Snowman" activity that I shared in this post. Just click the picture to go to my store and download! Can't wait to check out who else joined the link-up and read their posts!! Happy weekend!